Introduction on our Singapore's Pioneers. Only with their hardship, we can enjoyed the success today. Born on 21 October 1874 in Fujian, China. At the age of 17, Mr Tan arrived in Singapore to join his father, Mr Tan Kee Peck in the family's rice business. Business reponsibilities came early as his father's business failed in 1904, leaving him much on his own. With extraordinary fortitude, enterprise and risk-taking ability, he set about establishing a business of his own which began in pineapple canning, then diversified into rice milling. He eventually found the mainstay of his fortune in rubber plantation. The switch from rubber plantation to rubber manufacturing was a move he made boldly, and it established him as one of the most successful Chinese overseas businessmen in the whole of Southeast Asia. By the 1920s, he thus came to preside over a huge business empire which extended into most East and Southeast Asian cities, employed over 10,000 persons. 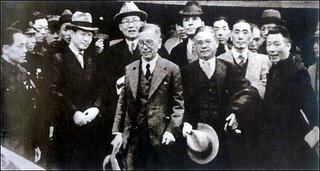 It spanned areas as diverse as rubber plantation and manufacturing, shipping, import and export brokerage, real estate and rice trading. His business success put him in the forefront of the leadership of the Hokkien community from which he originated. He held advanced views about social reform and criticised several outmoded practices then prevalent, such as gambling, opium-smoking and ritual extravagance. An abiding interest that underpinned Mr Tan Kah Kee's multi-faceted public activities, sprang from his firm commitment to educational philanthropy. In 1894, at the age of 21, he established a school in his village in Jimei. In the decades, thereafter, his enthusiasm and passion for educational philanthropy grew, culminating in his endowment of the Xiamen university in 1921. In Singapore Tan Kah Kee's educational endeavours were impressive, imbued by the same missionary zeal and vision that had inspired him to found the Xiamen University. Through his inspiration, five primary and secondary Chinese schools were founded here, chief among them being the Chinese High School. He also generously donated to schools which imparted English education. He died in 1961 in Beijing and was given a state funeral by the People's Republic of China. 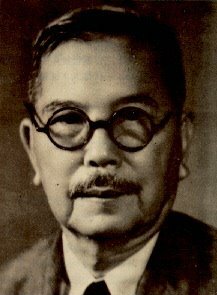 In Singapore, the Tan Kah Kee Scholarship Fund, which later became the Tan Kah Kee Foundation, was established in memory of this philanthropist. A young boy with traditional thinking and views on things happening around him. Never say impossible but always say I think I can do it.